Happy Monday Frands! I was trying to put together some fun new outfits this weekend and unfortunately it is still really hot here. We are in the dog days people. So really shorts are the most practical. 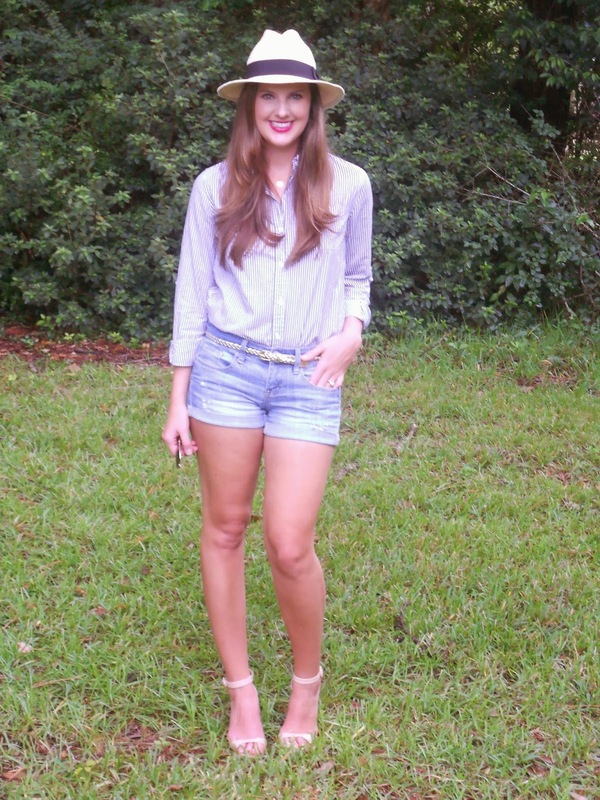 I have been living in these denim shorts and my favorite panama hat all summer long. So what's a few more weeks. Our weekend was spent doing absolutely nothing ..... it was fantastic. We have not had many events so far in August and I am not going to lie, doing nothing sometimes is my favorite. I watched the second episode of Outlander on Saturday, still obsessed. It is so good. I am almost finished with The Fault in our Stars, review coming at the end of the week. That book y'all... it tugs at my heart strings. Hope everyone has a fabulous week! Don't forget to enter the Shop the Mint giveaway. It runs through Friday!